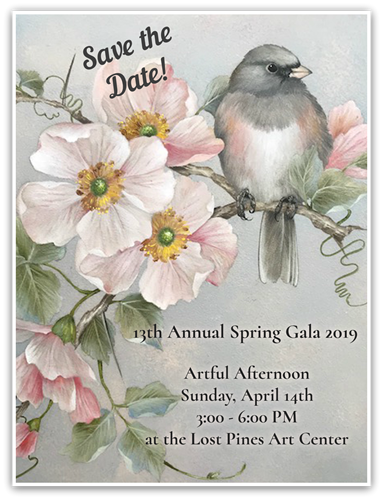 The Lost Pines Art League hosts an annual Gala every spring at the Lost Pines Art Center in downtown Bastrop, Texas to generate funds for our operations budget and scholarships. This afternoon event offers a live and silent auction, fine food, and entertainment in a relaxing atmosphere. Join us on Sunday, April 14th from 3:00-6:00 p.m. for the art event of the season! Members of our Circle of Friends receive free admission(s) to the Gala, depending on your partnership level.